In an unguarded comment caught on microphone after the press conference, he asked Simon Coveney, the deputy prime minister, if he should have made the remark. 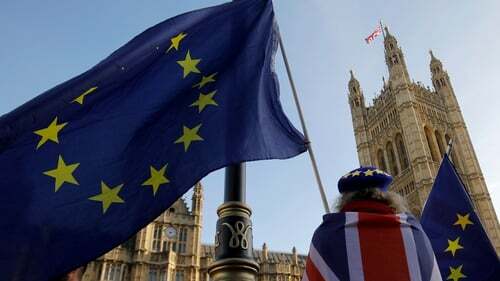 Much of the stated opposition to Prime Minister Theresa May's divorce deal with the European Union centered on the "backstop". He said the focus must be on avoiding the "unintended consequence" of Brexit which he said would be "any physical border infrastructure or related border checks or controls". In a statement, it said: "The Irish government continues to believe that ratification of this Agreement is the best way to ensure an orderly withdrawal of the United Kingdom, which avoids a hard border and respects the single market and Customs Union, while also delivering on the UK's objectives for withdrawal". Belgium's Prime Minister Charles Michel said on Twitter his country was also stepping up its planning for a Brexit no deal. The Irish government said the result of the vote in Westminster increases the risk of a disorderly Brexit. They noted, however, that Brussels would not agree to any changes to the deal. The admission came after Mr Ross bungled a question from the Irish Independent on whether in a no-deal scenario a truck coming from Scotland to Northern Ireland and then on to the Republic without any checks. Coveney replied: "Yes, but we can't get into where they'll be at this stage". They could be in the sea, they could be. During the decades of sectarian violence in Northern Ireland known as "the Troubles", a border with roadblocks and checkpoints teemed with soldiers and paramilitaries. Shane Ross: "Yeah, but I didn't know what to say". "We are now closer than ever to the possibility of a no deal that will be a disaster for Northern Ireland". "So it goes far beyond trade and that is why there is such strong political will to both in Dublin and indeed in London to ensure that whatever happens, there can not be a border on this island". The tánaiste (deputy prime minister) said there would not be checks but Ireland would nonetheless face "difficult discussions" with the European Union on how to protect the single market. The current solution on the table is the backstop. "To suggest that we will return to the borders of the past when the borders of the past were there for a completely different reason. He is quite prone to go "foot in mouth" moments and certainly that would not be the view of anybody really in the Oireachtas [Irish Parliament]". Has the Irish government said anything?